There are many pagodas, which are more than 1000 years old in Vietnam. They not only directly link with the religious life of the local but also become attractive destinations for many tourists. Bai Dinh Pagoda is located at the western gate of Hoa Lu Citadel – a Historic vestige, which is near the 38B National highway, Gia Sinh town, Gia Vien District, Ninh Binh Province. 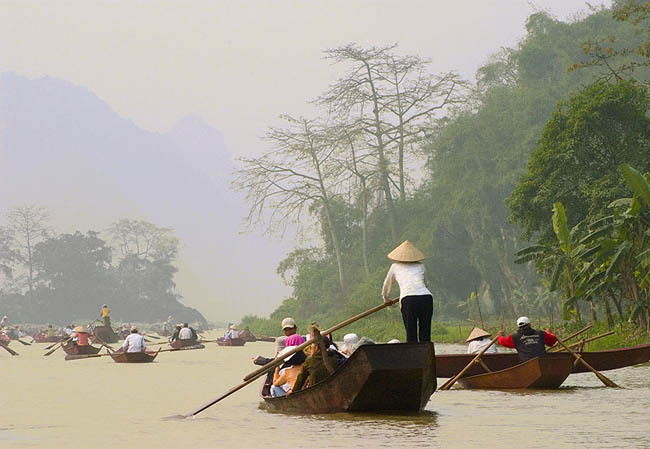 The pagoda is about 15 kilometers from Ninh Binh city center and about 95 kilometers from Ha Noi. 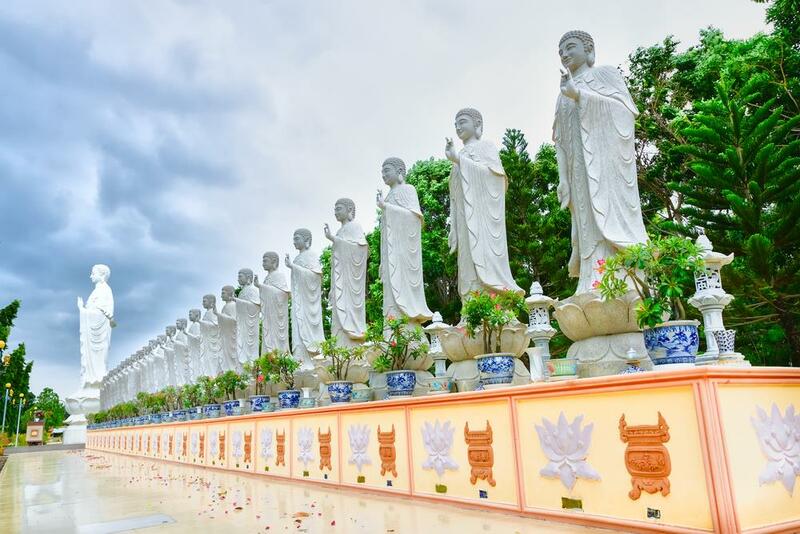 Bai Dinh Pagoda is a complex of pagodas, which possesses the greatest number of records in Vietnam such as the largest pagoda, the biggest bronze Buddha Statue, the pagoda with the greatest number of Arahant Statues and Sacred figs. In 2010, Bai Dinh Pagoda was the host of the great festival of receiving The Buddha Sàrìrikadhàtu from India. Dai Tong Lam Pagoda, of which full name is Van Phat Quang Dai Tong Lam Pagoda, is a great pagoda with many modern and large constructions. 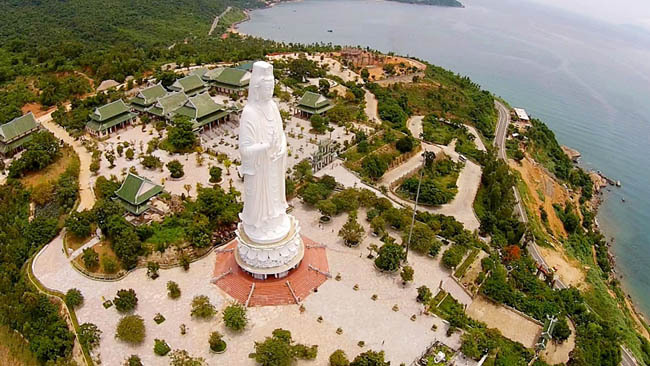 This pagoda is located in Quang Phu town, Tan Thanh District, Ba Ria – Vung Tau province. Dai Tong Lam Pagoda was built by the Superior Buddhist Monk Thich Thien Hoa (1907 – 1978), who came from An Quang Pagoda (Ho Chi Minh City). In 1958, he left An Quang Pagoda to come to Vung Tau with the aim of building a large Buddhist center, then opening a Junior Buddhism College. After his death in 1978, his purpose was still carried on by the next generations of superior Buddhist monks. The pagoda with the largest hall of Vietnam, on 2nd January in 2006. The pagoda with the greatest number of Buddha Statues in Vietnam, on 31st May in 2007. The pagoda with the biggest granite Maitreya Buddha Statue in Vietnam, on 21st March 2009. The pagoda with the Cuc Lac Ton Tri Buddha Garden that having the greatest number of granite statues in Vietnam (48 statues in total), in 2009. The pagoda with the biggest granite statues of three gods in Vietnam, on 20th December in 2010. 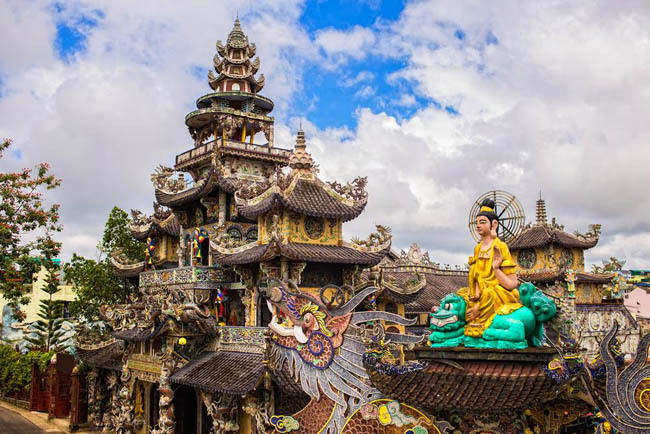 Huong Pagoda is a cultural and religious complex of Vietnam that includes a lot of Buddhist Pagodas, Temples, Shrines with the agricultural belief. 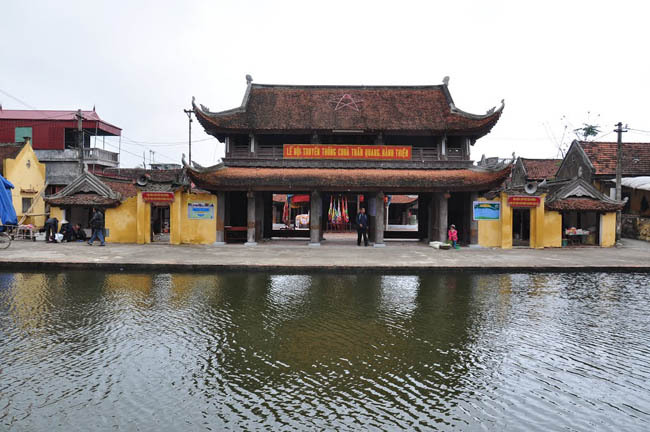 The center of Huong Pagoda is located at Huong Son town, My Duc District, which is about 60 kilometers from Ha Noi and along the right bank of Day River. The heart of this pagoda complex is Huong Pagoda located in Huong Tich Grotto, which is also known as Trong Pagoda (The Inside Pagoda). There are two ancient stone steles that were constructed in 1686. On the stele is the inscription about the effort of Vien Quang – a monk who supported to refurbish Huong Tich Grotto and build the Outer Pagoda. 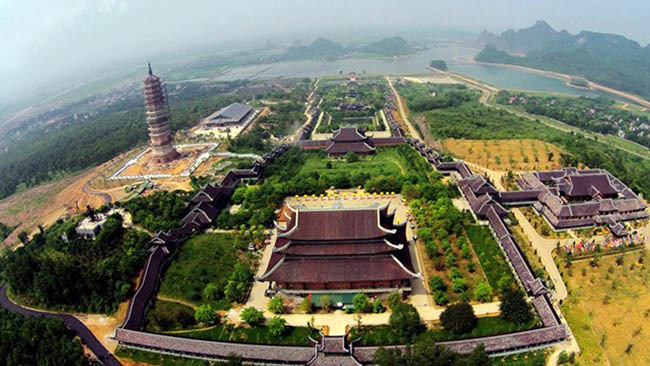 Another highlighted feature of Huong Pagoda is its two towers: Thien Thuy Tower, which is a stalagmite, and Vien Cong Tower, which was built of ancient bricks. 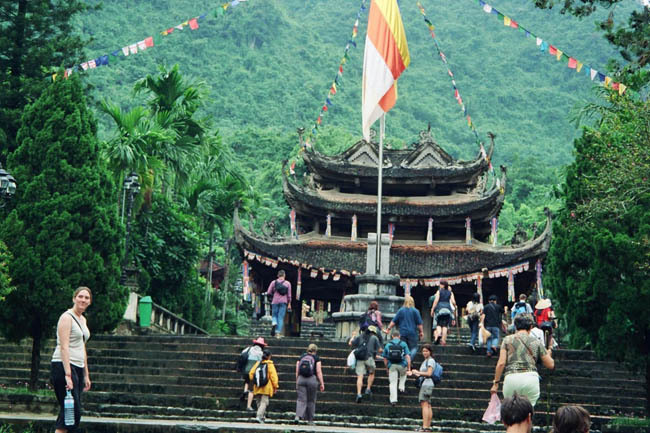 Huong Pagoda is a famous sight-seeing of Vietnam. On the other hand, Huong Tich cave is also called “Nam Thien De Nhat Dong” (which means the most wonderful cave in the Southern Sky). Love it? See Perfume Pagoda Tour 1 Day here! The One-Pillar Pagoda is a symbol of Ha Noi Capital. This pagoda is famous for having unique architecture. The whole pagoda is placed on a pillar situated in the center of Linh Chieu Lake. This lake is covered by a colorful lotus field as well. Legend has it that in 1049, King Ly Thai Tong had a dream of Guanyin Bodhisattva sitting on a lotus. When waking up, the king told his dream for the mandarins and Monk Thien Tue advised him to build a pagoda, of which shape looked like the lotus of Guanyin Bodhisattva. 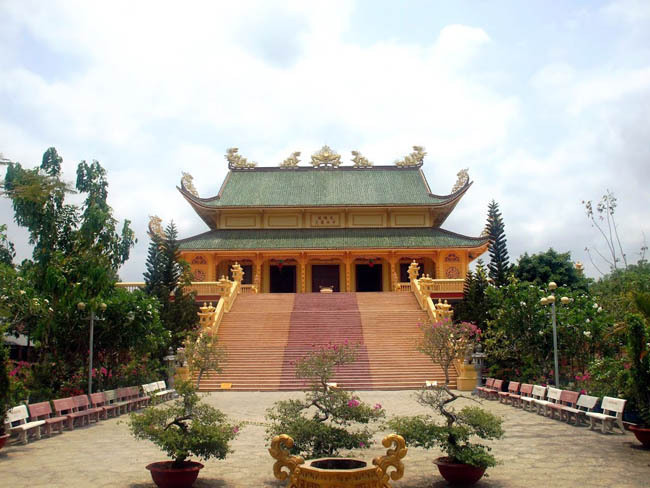 Keo Pagoda is located in Dung Nhue village, Duy Nhat town, Vu Thu District, Thai Binh province. The full name of this pagoda is Tran Quang Pagoda. It is one of the oldest pagodas of Vietnam, which is nearly 400 years old. Keo Pagoda still fully reserves its unique and ancient architect during such a long period of time. The nowadays pagoda was refurbished in 1930. It is also the storage of many valuable antiquities such as the Great Bell, which was cast in the Le Dynasty, the porcelain vase of Bat Trang pottery village, thurible, etc. Especially, the bell tower of Keo Pagoda is such a masterpiece of architecture. This bell tower looks like a blossoming lotus. It includes 3 floors with the total height is 11,5 meters, and each floor hangs a Great Bell. Giac Lam Pagoda is located at 118, Lac Long Quan Street, Tan Binh District, Ho Chi Minh City. 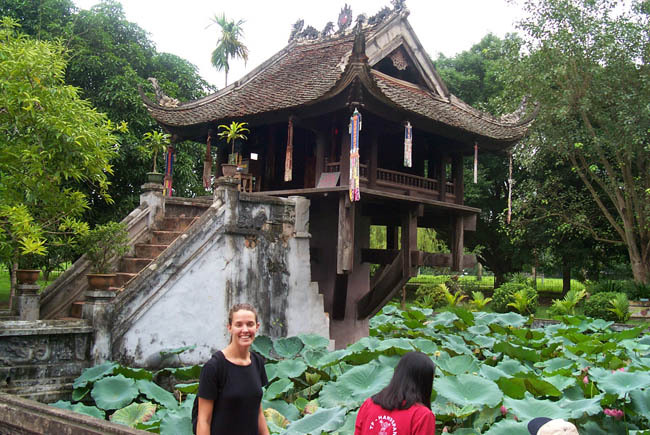 It is one of the oldest pagodas of this city and the center of Rinzai school in the Southern Region of Vietnam. This pagoda is built in the shape of the Kanji Letter “San” (means Three) including the main hall, lecture hall and two buildings serving foods. Along both sides of the main hall is two collections of 18 Arahants (a big one and the smaller one). There are 133 statues made of precious wood, which are skillfully lacquered and gilded. All of the statues, chairs, tables, antique grave towers, etc. are lively sculptured by the talented artists. On spring days, Giac Lam Pagoda welcomes thousands of pilgrims and foreign tourists coming here to pray for peace and happiness as well as contemplate the antique beauty of this pagoda. Linh Phuoc Pagoda is the most special pagodas of Lam Dong Province. This pagoda attracts a great number of tourists, who come here to observe its strange and unique architecture. The whole pagoda is covered by fragments of porcelain and bottles, which creates such a strange and impressive appearance. On paying a visit to Linh Phuoc Pagoda, the first impression of tourists must be the beautiful appearance of 7-floor-tower, which is the highest pagoda’s tower of Vietnam. Legend has it that when the tower was completely built, there was a shining halo appearing on its top in several days. Another highlighted feature of this pagoda is the Long Hoa Vien, which is a work of a 49-meter-long dragon winding around the statue of Maitreya Buddha. The fins of this dragon are made of 12 000 fragments of beer bottles. Under this wonderful work is a beautiful lake with some artificial mountains. On the other hand, the Statue of Guanyin Bodhisattva is also a highlight of Linh Phuoc Pagoda. This statue is made of thousands of golden everlasting daisies on the occasion of Da Lat Flower Festival in 2011. Linh Ung Pagoda is located on Son Tra Peninsula, Son Tra District, Da Nang Province, which is about 10 kilometers to the Northeast. Mountain. On paying a visit to this pagoda, you can easily contemplate the beauty of the blue sky and the sea as well as enjoy the pure and cool atmosphere of the ocean. 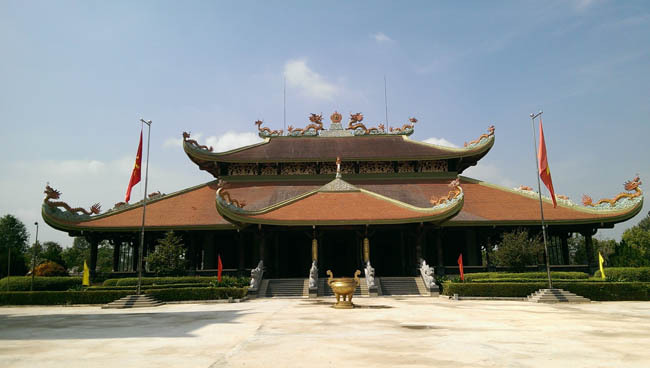 Linh Ung Pagoda is a complex with many parts including the main hall, library, lecture hall, etc. You will be certainly amazed when observing the statue of Guanyin Bodhisattva, which is 67 meters in height, of which lotus’ diameter is 35 meters. This is also the highest statue of Vietnam. If you have the opportunity to travel to Vietnam, and you love to learn about the Buddhism of this country, then, you should not forget to note those wonderful pagodas in your list of destinations. We wish you a happy and memorable trip!